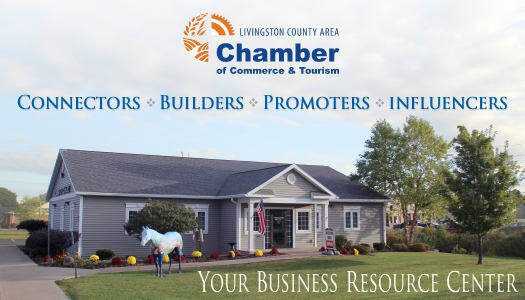 When you join the Livingston County Chamber of Commerce, you become at vital part of the premier business organization in Livingston County working to create a vibrant and sustainable business environment by fulfilling our mission of fostering business development and providing opportunities for our members to prosper. The Chamber represents over 600 members whose investment in Chamber membership gives them business credibility, visibility and marketability. At the Chamber, we provide our members with numerous opportunities to promote their business to customers and fellow chamber members looking for trustworthy businesses with which to work.